David Brent is apparently alive, well and working at Curry’s in South Wales. The most cringeworthy boss fiction has perhaps ever rustled up and plonked into a nondescript suit seems to actually be conducting job interviews as poor old Alan Bacon discovered to his surprise and dismay. Alan had applied for a job with electrical retailer Curry’s and having been invited in for an interview, had brushed up on his knowledge of all things gadget and appliance based. "I spent the whole week researching the company, reading about the new things they were selling - I would like to work with cameras and I was keen to get the job," Bacon said. "They told us there would be five minutes to talk about our hobbies, and I like astronomy so I had spent some money printing off some pictures I had taken through my telescope." And yet he was quizzed on none of this. His telescope pictures remained sheathed. Nope, he was asked to lay down some dance moves in a quite astonishing display of tasteless bullying. Us Brits don’t really do dancing on request at the best of times, but using the pressure of a job interview to effectively humiliate candidates is frankly disgraceful. "There were nine other people at the day and after short introductions we were shown a clip of two people dancing, and they said 'guess what we're going to ask you to do' - the guy next to me asked if it was joke, and we all thought it must be." Alas, this was no joke and after the self confessed ‘terrible dancer’ realised that he would have to break out his groove to land the job, he suddenly found himself doing “rubbish robotics" to Daft Punk's Around the World. 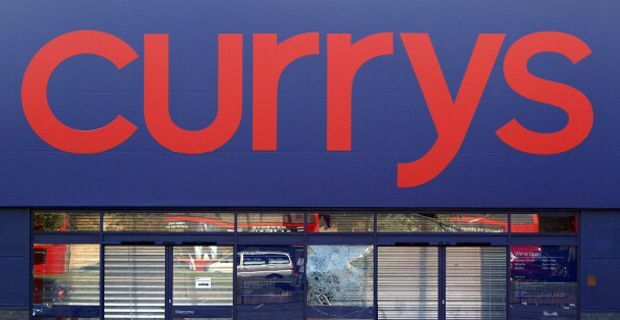 "There was an older gentleman there who was telling us just before the interview that he was made redundant from his last job and had recently had a child so he was pretty desperate for this job and watching him having to dance to rap music …"
In a statement Currys said it was disappointed that one of the management team at the store in question had not followed its official recruitment processes. "We are investigating the store member who held the recruitment session. We are extremely sorry to those interviewees impacted; all are being asked to attend another interview where they will be given a proper opportunity to demonstrate how they can contribute to our business." Meanwhile, The Sun, who no one can deny is a classy outfit has offered a "handsome sum" if he will recreate the dance on film. Alan is still mulling his options on that front.